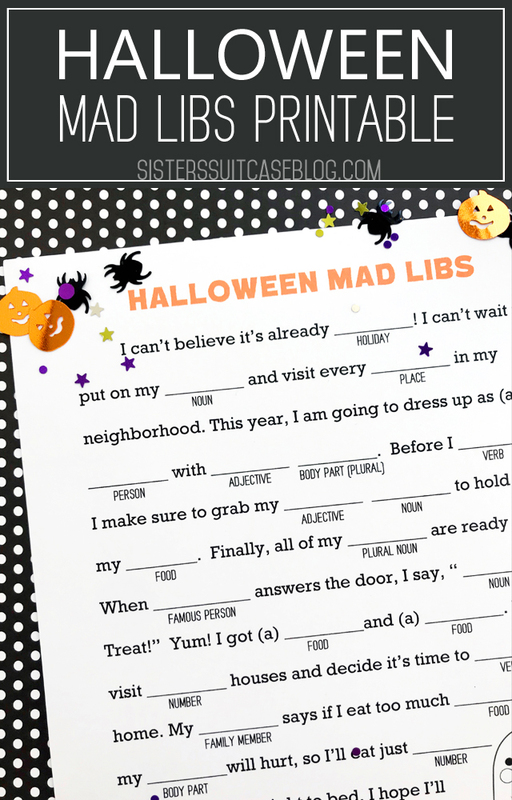 Halloween Mad Libs is a fun and creative family game that’s perfect for Halloween parties. 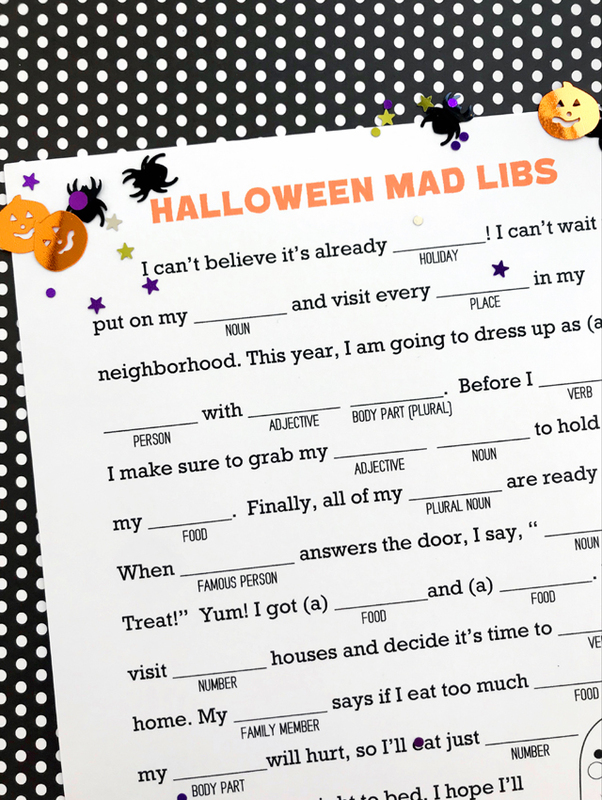 Kids love reading the silly story so it’s also a great choice for class parties this Halloween! My favorite holiday is just around the corner! For someone who absolutely HATES scary movies, haunted houses or anything gory, it’s kind of strange that I love this holiday so much! 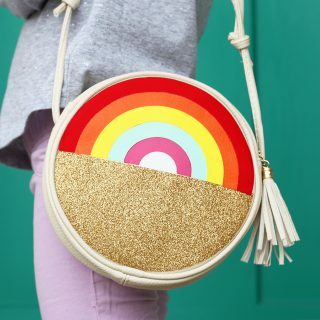 I DO love dressing up (and eating candy, duh) so I still love it! Growing up I was always so excited because my birthday is the week after Halloween, so sometimes we would have Halloween parties for my birthday with my friends. Those memories combined with dressing up with my little family as an adult make this time of year so magical! 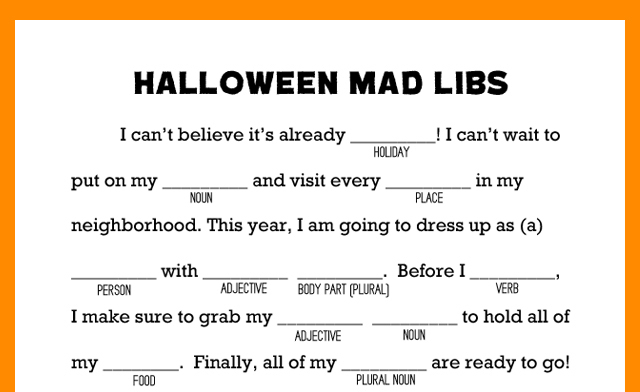 Halloween Games are a must-have at any party, and Mad Libs are so fun because kids can be creative (and sneakily learn the parts of speech) If you’re a Room Parent or helper this year, this is a great game because it requires hardly any prep! 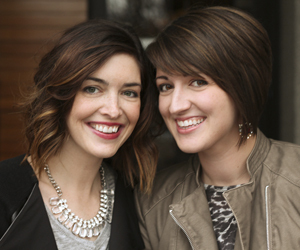 Divide into Pairs (for school parties) or have one person be the writer in a large group. Don’t read the story to your partner before they give you the answers – that will ruin the fun! You can download and print the free game by clicking the link below! 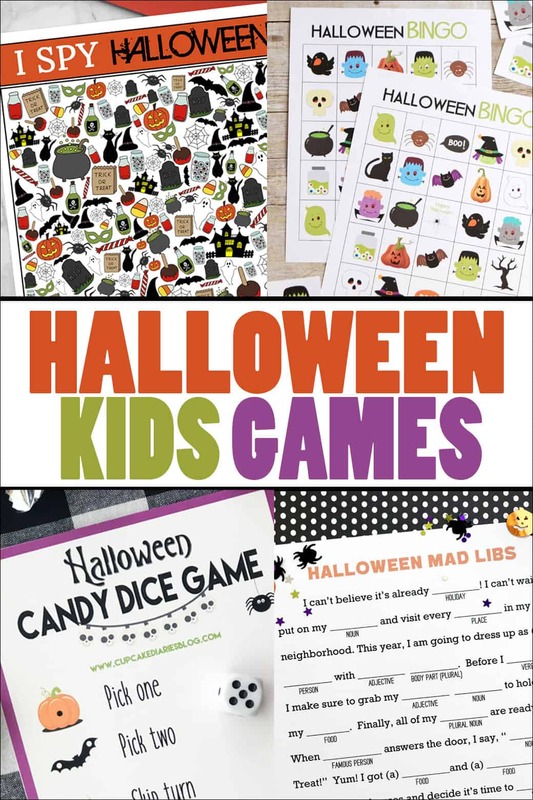 If you’re looking for more printable Halloween games, check out these great ideas from some of our friends!